Bluetooth Special Interest Group’s Mark Powell announced that the fifth-generation of the ubiquitous wireless standard is coming soon. Bluetooth 5 is supposed to offer extended range and faster transfer rates than its predecessors with up to 2x the range and 4x the transfer speeds. This will make for quite the improvement in performance over what is currently available and may make Bluetooth a great way to transfer large files wirelessly. An interesting new feature is the ability to employ larger “advertising packets”. According to Bluetooth SIG’s spec, an advertising packet has the ability to send info to devices even if they are not paired together. This information includes device identification like a name to be found by other devices. One of the most practical uses of this is if you just bought a Bluetooth speaker and want to pair your phone to it by finding the name of the speaker amongst all of the other Bluetooth devices that may be in range. Mark Powell also mentions that “By adding significantly more capacity to advertising transmissions, Bluetooth 5 will further propel the adoption and deployment of beacons and location-based services to users around the world,” which could mean some very interesting use cases for the wireless standard. One of the most important improvements, however, could come in Bluetooth audio, which could see a massive upgrade in quality. Current generation implementations aren’t bad, but they are not excellent either. With Bluetooth 5’s promises of faster speeds and presumably higher bandwidth transfer capabilities, wireless audio could start rivaling what your audiophile friend’s equipment can produce, which would be a massive win for wireless audio solutions. Only time will tell, but it is about time wireless audio got an upgrade, and this is the perfect way to do so. 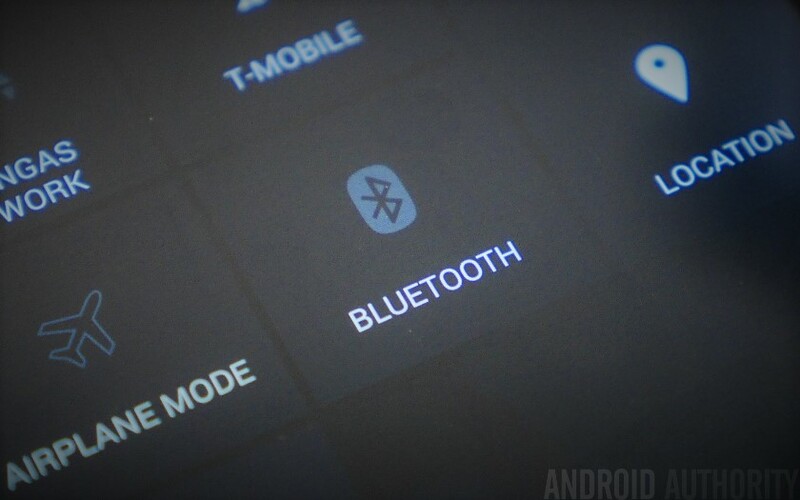 It is more than likely not possible to update current hardware to the Bluetooth 5 spec, as new Bluetooth versions usually require new hardware, but only time will tell. Stay tuned for more details coming with the full Bluetooth 5 announcement next week.